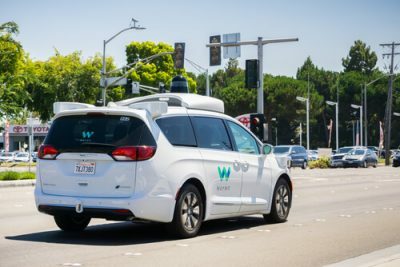 Waymo vs Uber lawsuit may have a positive side to it after all. Uber gave up just a mere 0.34 percent of the entire company to settle the case. Some hold the opinion that essentially, Uber got off fairly cheap. Last Friday morning, Uber and Waymo finally settled their differences. By differences, it means they decided to settle everything related to the now infamous trade secrets lawsuit. In doing so, they have settled the self-driving marketplace stage for more competition rather than more legal battles. Both invested their resources in a drawn-out struggle where each tried to prove their case in the court of law. And also in the, very important, court of public opinion. It is precisely for that reason that the settlement is the best option for both companies. The settlement option is also the option that makes the most sense as far as both companies are concerned. We would like to also borrow a phrase from Travis Kalanick, Uber’s former CEO, that came out during the legal trial. In many ways, Waymo got what the company wanted to get from the start. Uber basically agreed with the company and said that it would ensure that not a single portion of Waymo’s official and confidential information ends up in the company’s software and/or hardware that Uber’s self-driving division would produce. Uber calls its self-driving division as the company’s Advanced Technologies Group. Along with that Waymo would also receive a rather sizeable percentage of equity share in Uber. That percentage comes down to about 0.34 percent. In terms of money, the 0.34 percent share is currently worth slightly over $244 million. Readers should know here that no money has actually managed to exchange hands in the deal. Because the arrangement is an all-equity one. That means, Waymo now has a financial investment in Uber’s future to some extent. According to a New York Times report, Uber, or its board, initially had offered Waymo around 0.68 percent share. But then yanked the proposal just prior to the official trial. Then, after the fourth day of trial, on Thursday, both companies resumed settlement talks. Now, even though Waymo gets what it wants, Uber has also come out of this self-driving lawsuit getting what it wants. What does Uber get exactly? Dara Khosrowshahi, the new and current chief executive of the company, has started workly fairly early to clean up the house in the wake of this huge lawsuit mess. Some believe that Dara is just taking care of the mess that Kalanick left behind. To try and take Uber public in the year 2019. Dara Khosrowshahi also has to refresh Uber. The company’s image has been mostly tarnished with all the lawsuits, harassment cases, and low driver payouts. Dara will also have to make sure that Uber has enough about it to holds its own against the likes of GM, Waymo. And all the rest of the players in the self-driving market space. As a company, Uber will have one main job from now on. That job will involve the company showing to others that it can really compete with the best and then beat them fair and square. Uber is not really short of rivals, so the company is going to have a lot of time in dealing with other players in the self-driving industry. Right now, Waymo has managed to put actual self-driving cars in Arizona and on the road. In industry parlance, that stage is called Level 4. Many other media outlets have reported in the past that as far as self-driving cars go, Waymo has a tremendous lead over the rest of the pack. In other words, its driverless cars are the best and most developed at the moment. One reason for that is simple enough. Waymo started its work way before than others. Self-driving cars still have a long way to go. Waymo is currently in the lead. Right now, Uber is just getting started on self-driving cars while Waymo has pursued the self-driving cars project for almost a full decade now. Waymo also has a rather large but secretive testing facility. It is based in central California. As mentioned before, at the current moment in time, Waymo has its self-driving cars on the road in places such as Phoenix metro area. It is also true that Waymo isn’t the only big player in town. The self-driving space has become markedly competitive. Right now it is also becoming an increasingly crowded one. 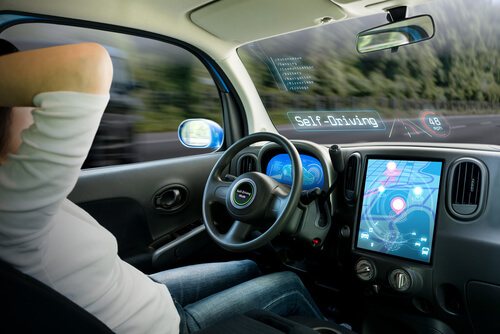 Startups along with Tier 1s and automakers are all pouring in resources to conduct self-driving programs. The first example is that of GM. Back in 2016, GM purchased Cruise startup. Just a couple of months ago the company stated that the company would have its own self-driving cars on the road in a few quarters. Self-driving here means that the company would not have any human behind their self-driving car. Waymo did not manage to prove that Uber actually stole and then misused the company’s trade secrets. If it had proved that then it would have dealt a huge blow to Uber, the company’s biggest San Francisco-based technology rival. After all, it is Uber and not Waymo that pioneered what we now know as the ridesharing platform. So one could say Uber has a bit more real-world experience than Waymo. It simply does not have the technology that Waymo has. As Kalanick described a while ago, the company makes use of “cheat codes.”. Kalanick said that the company had installed cheat codes in its app on the smartphone devices of all Uber drivers. And Uber’s then CEO described it as an elegant solution which the company would use to grapple with the state of any traffic in any major city around the world and at any given time. Uber has already invested more than $1 billion in its self-driving division. But the company shows no signs of stopping. Currently, Uber is actually ramping up the company’s self-driving ability even further. 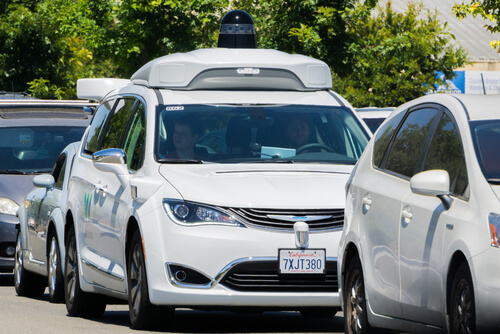 Potentially speaking, if Uber could have armed itself with Waymo’s secret “sauce” then it could have challenged Waymo as its most formidable opponent. That where the settlement plays a huge role. The settlement, at least in theory, will ensure that Uber stays on track. And competes with other self-driving companies fairly. Under such “fair” circumstances, few would bet that Waymo would not win. Waymo certainly thinks that it would outperform Uber in the self-driving car race now that both companies have reached a settlement. Uber had a pretty horrible 2017. Combine that with everything else that didn’t go the company’s way, and one can safely assume that 2017 was Uber’ annus horribilis. As mentioned before, Uber didn’t just have to face an existential threat from Waymo. It also had to deal with GM. If media reports are correct, then GM’s rideshare service is currently looming over the horizon. Waymo has won the battle. And that means it can keep the competition off its back for a considerable period of time. Moreover, Uber had to manage its image amongst the general public when entities started to accuse the company publicly for tolerating internal misconduct and sexual harassment. Eric Holder, the company’s former attorney general, lead an inquiry into these issues. After the inquiry finished, the company actually went ahead and agree that from now on it would hold itself to a much higher standard than before. Uber faced many other types of issues as well. Let’s go through some of them in order to understand how bad 2017 was to Uber. First, the company had to deal with ongoing lawsuits over issues such as the employment status of the company’s drivers. The company also had to face accusations of leaking medical information. It also had to pay millions of dollars in fines to federal and state agencies. Moreover, media sources also confirmed that the company had a rather poor record as far as hiring minorities and women were concerned. Some also blamed the company for its aggressive approach to evading US regulators. What was the result of all those troubles? Well, Uber decided to boot Travis Kalanick from the company. Or more specifically, the company’s top job. Travis Kalanick still holds, or more appropriately retains, a seat on the company’s board of directors which consists of 17 other people. Back in November, the current CEO of the company Khosrowshahi disclosed to the media that the company had to sustain a huge data breach during the ancien regime. And that lead Uber to deal with even more niggling lawsuits. Then, when December of last year came around, the highest court in the European Union gave its ruling that authorities could regulate Uber just like they could regulate other taxi companies. Uber paid Waymo with a 0.34 percent of the entire company. That, as indicated earlier, translated to around $244 million dollars. If one really thinks about it then there is little doubt that Uber got off rather cheaply. Now, there is very little standing in the way of Uber if it wants to focus on the company’s new Softbank investment. The current CEO also wants to launch the company’s initial public offering before the end of the next year. But Waymo vs Uber case is not going to leave Uber alone that easily. As a result of the lawsuit, one should not forget that the US federal criminal probe relating to Uber is still in a pending state. Ars Technica recently reported that someone very close to the Waymo vs Uber settlement told them that the new CEO of the company’ Khosrowshahi played the role of the adult at the negotiating table. To put it another way, Khosrowshahi could easily put aside the bad blood and animosity that most believe existed between Google co-founder Larry Page and Kalanick. This is also a good time to mention that Google and Waymo have the same parent company. That parent company is Alphabet. Kalanick felt betrayed by Google’s interest in the self-driving industry over his own company’s future. Earlier this week, while on the stand, Kalanick described Uber’s relationship with Google. He mentioned that Google initially did invest in Uber. And how Uber saw Google as the company’s big brother. Kalanick then mentioned that once he started to come to know that Google wanted to explore the ridesharing business, he felt hurt. The ex-CEO of Uber also characterized the stimulus to quickly move towards the self-driving technology largely because of the fact that Google lagged in communicating effectively with his company. Essentially, Kalanick understood, that the arrangement between Google and Uber meant that Google would help Uber. By nurturing the company’s development. However, when May of 2014 came around, something big had changed. Kalanick along with some of his other colleagues working at Uber started to hear rumors. Rumors which said that Google actually had a plan of its own. That Google wanted to take out Uber. By directly competing with the company in the ridesharing industry. According to Kalanick, Uber failed to get a reasonably straight answer from its big brother, Google. Even with that, Kalanick stated that he pressed Uber’s investor Google to go ahead and strike the deal. He stated that he wanted Uber to do the ridesharing thing. Moreover, he also wanted Google to do its thing with the self-driving technology. And after that, both companies could cooperate to put everything together. Kalanick further added that Uber wanted to figure out a way in which it could partner with Google. Also in May of 2014, Google’s other co-founder Sergey Brin publicly told reporters at a technology conference that Google had plans about self-driving cars. And how they would lack driver’s seat. Also, they would not have any steering wheels. Brin also noted that eventually, Google’s self-driving division could actually become a major part of another service where customers could just summon the company’s self-driving cars. There is an alternative way to see things, however. Maybe both sides did want to cooperate with each other. But they also wanted to have the option of backstabbing the other should the situation necessitated it. As of this moment in time, Ube has a very obvious “next” move. The company has to prove that its ATG Group has done a bit of research. And it can potentially capitalize on that division’s research. Uber also has research teams based in San Francisco, Toronto, and Pittsburgh. Surprisingly, the company’s official YouTube channel is a bit light. The company has not released new videos in about four months. Uber is also apparently preparing to launch the company’s new Xenon generation cars. These are basically 200 units of Volvos. They should come out soon enough. Uber also managed to outline the company’s vision for Otto. Otto is basically a self-driving trucking company. Anthony Levandowski founded the company a while back. Levandowski is also the guy that kicked off the entire Waymo vs Uber case. He is also an ex-Waymo engineer. Uber actually outlined its plan a couple of days before the official San Francisco trial (the blockbuster one) began. Uber also wrote that the company had invested heavily in both self-driving Uber Freight and trucks. Its function is to match carriers with their drivers that have no other load to haul. Uber also wrote that it had shared its vision for the future of nationwide trucking late last year. According to the post, Uber envisioned a mixed-fleet system. Under this system, self-driving trucks and truck driver would work with each other and alongside one another. That would allow both of them to connect local and long-haul routes. Uber also mentioned that the company thought such a model could potentially cause more growth in the country’s truck freight. Additionally, such a system would also increase the likelihood of having better jobs in the truck driving industry. Finally, Uber’s new freight system would allow more affordable everyday goods for all people. The one thing that is clear from all of this is that Uber is in it. And the company is in it for the very long-haul. Perhaps that is good for all sides. Waymo would never have settled if they didn’t get what they asked for in the first place. Regardless of that, Uber will now do what it wants to do. And Waymo will continue to lead in the self-driving market for quite some time to come.